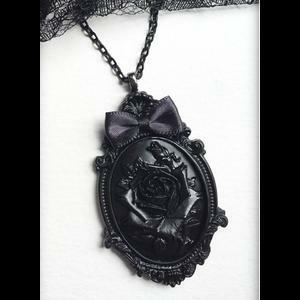 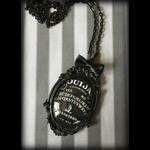 A gorgeous gothic Victorian style large cameo necklace featuring a black rose on a black background. 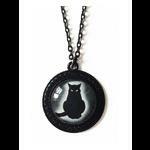 You can't get a necklace much blacker than that! 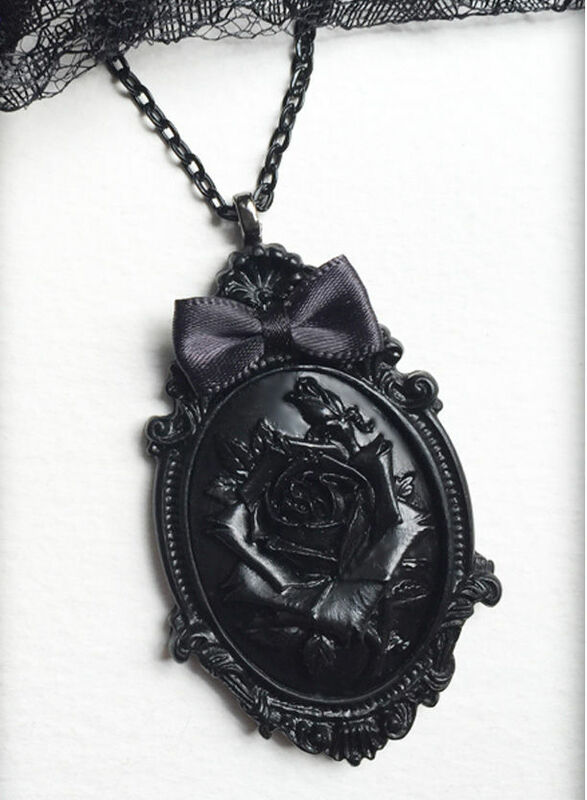 The cameo is set in a beautifully detailed and ornate black frame and is finished with a little black satin bow. 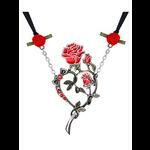 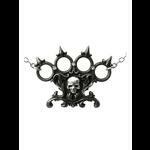 Comes complete with an 18" (46cm) black link chain. 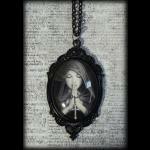 Lots more cameo necklaces in various colour combinations available in our jewellery section.